Lion Cardboard Cutout Standup Prop - Dino Rentos Studios, INC. 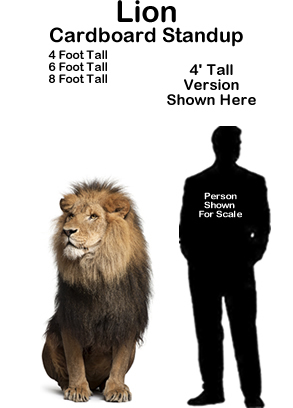 This Lion Cardboard Cutout Standup Prop is great for your zoo, jungle or Bible School themed display or production! Regular manufacturing time is 5 business days. Expedited service available.